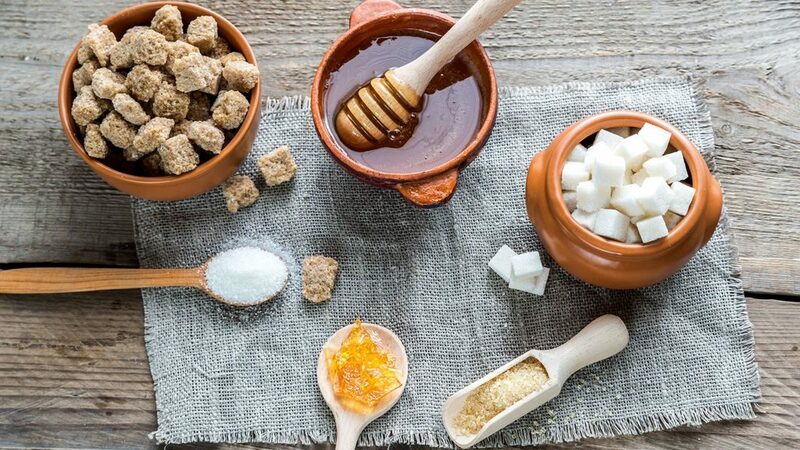 Blog » Health News » What Is Healthier: Natural Sugar, Table Sugar Or Artificial Sweeteners? Take this with a pinch of salt (no pun intended) but the excess of any kind of sugar, natural or otherwise, is very unhealthy. High consumption of sugar (of any kind) will lead to almost the same health problems. However, a moderate amount of these sugars is where you’ll see the difference of impact. According to some reports, India is one of the largest consumers of sugar. The per capita intake of India is about 20.2 Kg, which is just a few kilos shy of the global average consumption of about 24.8 Kgs. in this article we will throw a light upon which type of sugar should you consume in order to stay healthy and which ones to avoid for the same. Here are few facts about sugar which you should be aware of in order to decide which type is the best for you. Fruits, which contain the sugar component called Glucose. Vegetables and honey, which contain the sugar component by the name Fructose. Milk products, which contain the sugar component by the name Lactose. During digestion, the food when broken down gets converted into molecules of sugar, which after some processing release energy required for the sustenance of vital body functions. Also, read about: High Calorie Foods in India. Types Of Sugar. Image Source. There are majorly three types of sugar; natural, refined and artificial. Each of these has a different impact on your body and metabolism. Let’s discuss both in detail. Natural sugar, as the name suggests is the one which can be found in naturally occurring food sources such as fruits, vegetables, and dairy products. These sugars are more advantageous over artificial sugars because of added nutrients like fibers and proteins. Natural sugar sources are low-GI foods. Low-GI foods are the ones which take longer for the body to process meaning, you will feel fuller for a longer time. Honey is known for its antibacterial properties and is recommended to be consumed with lukewarm water first thing in the morning to help you lose weight. Honey is an ideal alternative to common table sugar. Maple syrup is derived from the sap of the maple tree. Consumption of maple syrup is encouraged because of its antioxidant properties. Maple syrup is also considered to promote a healthy immune system and improved cardiovascular functionality. Foods containing refined sugar fall in the high-GI category, these foods are digested quickly, leaving you feeling hungry even though you just had something to eat. They are also closely related to obesity because in a relatively small amount of food with this type of sugar, one can consume high amounts of calories. Refined sugar is the prime culprit for causing diabetes and tooth decay as well. Advertised as a healthy replacement for refined sugar, artificial sugar has taken the market by storm. More and more people are switching to artificial sweeteners. Extensive studies have been conducted which prove that artificial sweeteners pose no viable threat to health and are safe for consumption by humans. Artificial sweeteners have been given the green light by Food Safety and Standards Authority of India (FSSAI) to be used in foods and drinks. While deemed healthy by manufacturers, artificial sweeteners have also been reported to make people switch to a more sweetened meal plan, which may not be all the healthy choice of a lifestyle. There are pros and cons to all types of sugar but in the end, the main concern isn’t “what you eat” but more like “how much you eat”. Meaning, it doesn’t matter where the sugar comes from, if it is consumed in excess the results will always be equally harmful.